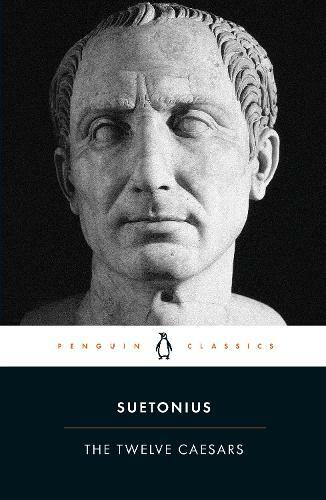 An essential primary source on Roman history, Suetonius' The Twelve Caesars is a fascinating achievement of scholarship covering a critical period in the Empire. This Penguin Classics edition is translated from the Latin by Robert Graves, author of I, Claudius, revised with an introduction and notes by James B. Rives. As private secretary to the Emperor Hadrian, the scholar Suetonius had access to the imperial archives and used them (along with eyewitness accounts) to produce one of the most colourful biographical works in history. The Twelve Caesars chronicles the public careers and private lives of the men who wielded absolute power over Rome, from the foundation of the empire under Julius Caesar and Augustus, to the decline into depravity and civil war under Nero and the recovery that came with his successors. A masterpiece of observation, anecdote and detailed physical description, The Twelve Caesars presents us with a gallery of vividly drawn - and all too human - individuals. James B. Rives has sensitively updated Robert Graves's now classic translation, reinstating Latin terms and updating vocabulary while retaining the liveliness of the original. This edition contains a new chronology, further reading, glossaries, maps, notes and an introduction discussing Suetonius' life and works. Gaius Suetonius Tranquillus was probably born in AD69 - the famous 'year of the four Emperors'. From the letters of Suetonius' close friend Pliny the Younger we learn that he practiced briefly at the bar, avoided political life, and became chief secretary to the Emperor Hadrian (AD117-38). Suetonius seems to have lived to a good age and probably died around the year AD140. If you enjoyed The Twelve Caesars, you might like Tacitus's The Annals of Imperial Rome, also available in Penguin Classics.